Don’t let the fact that EDGE started out as an iOS title fool you into overlooking it. Originally called “EDGE by Mobigame” in its iOS debut (thanks to a trademark dispute), this puzzle title with platforming elements was codeveloped by Two Tribes of Toki Tori fame, and has been released on many platforms before its debut on the Wii U. The Steam version even added a free level pack called EDGE Extended, which is retained in the Wii U version. Add 1080p HD graphics that run at a constant 60 frames per second, off-TV play and well over 100 levels in total, and it’s easy to see that this is the definitive version of EDGE. But what makes this simple and addictive game worth a look? More importantly, what does that button do? 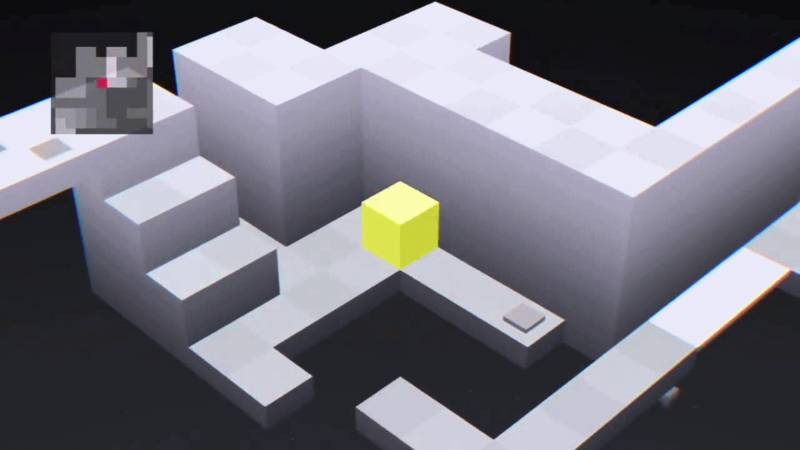 EDGE can be described as Marble Madness with a cube—no plot, all puzzles. 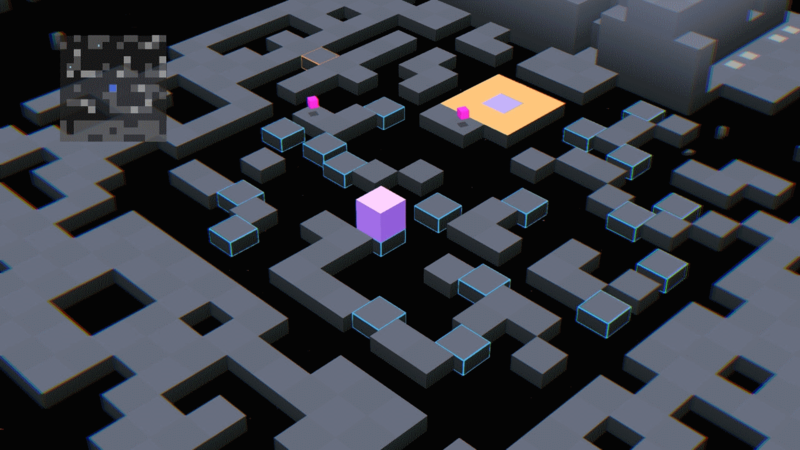 Players guide a colorful cube through a monochromatic, isometric maze and get to the goal. Seems easy enough, yes, but there’s more to it than that. 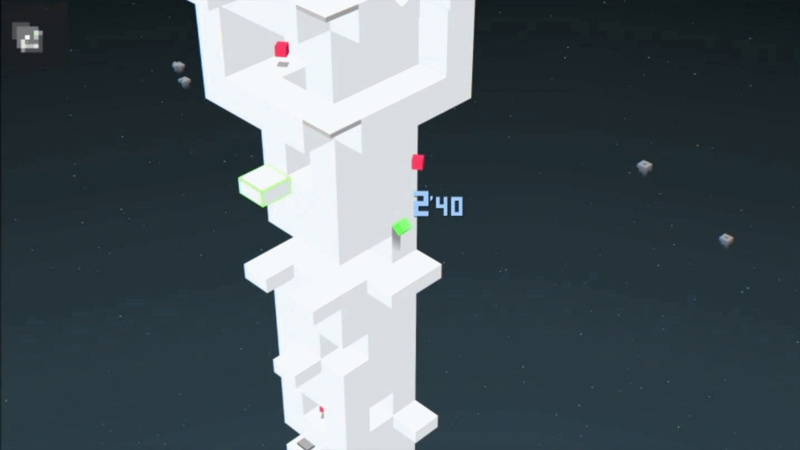 For starters, there are small prisms scattered throughout, and players looking for high scores would be wise to collect as many as possible in each level. Not only can they make the cube go faster, but you must collect all of them if you wish to get an S or S+ ranking. Yes, this game has a ranking system component to it as well, going from the lowly D to the perfect S+. These grades factor in the time taken to complete the level, the number of deaths, and the number of prisms collected, giving you more incentive to do well. EDGE can be controlled with the control stick or D-pad, but since the cube moves in an isometric fashion, the latter is the preferable option for this reviewer. The inverse directions that the cube moves in make the controls a little weird at first, but the first 20 or so levels in EDGE are fairly gentle in terms of difficulty. So, it’s easy to get the hang of the controls before you embark on harder and more innovative challenges. Later levels use such things as switch-operated platforms, tight spaces accessed by a power-up that makes your cube shrink, killer spikes that push out of walls, and even a sadistic doppelgänger cube hellbent on pushing your cube out of the way. There’s also this one level where you climb to the top of a tower. Pretty cool, I must say. Ah, but there’s more. 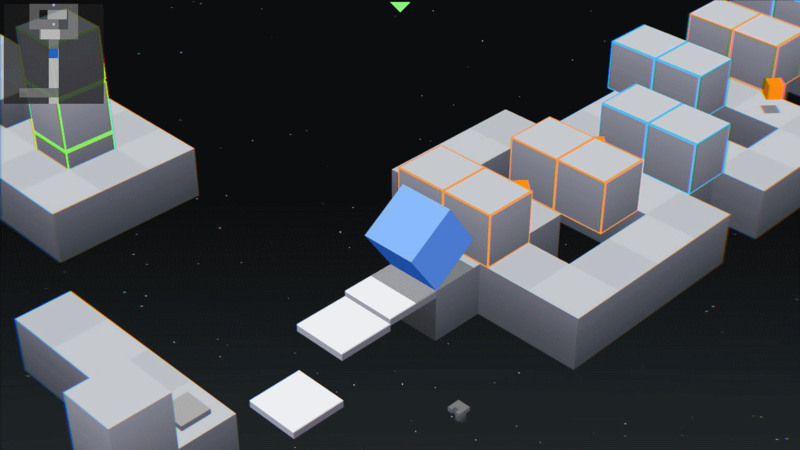 Levels also utilize the Edge Time mechanic, which forces you to keep the cube on the edge of a moving platform or wall. Holding the control stick or D-pad ever so slightly to keep from tumbling to your death proves to be quite the challenge indeed. To compensate, Edge Time, that is, the time spent balancing your cube, is shaved off of the total time. Trust me, it can make all the difference in some particularly difficult levels, and it makes speed running easier than ever. EDGE still has, shall I say, a few rough edges. As noted above, the somewhat complex controls add to the learning curve, and the difficulty ratchets up quite quickly. There are unlimited lives, however, which provides somewhat of a safety net for people who are just getting started. The fixed camera also makes looking at the mini map, in the upper left hand corner, a must if you want to avoid certain death in some stages. And Edge Time is a very complex mechanic to get right in your first few tries. Finally, considering the competitive and speed run-ready nature of this game, the lack of an online leaderboard system seems like an oversight. Not to mention these incredibly fast platforms. Note that throwing your GamePad across the room will not help matters. Yet, even with those caveats and that last nitpick, one thing in particular redeems EDGE: its low price point. For only $1.99, you get quite a bit of game here, and it certainly helps that the gameplay, graphics and sound are beautiful in their simplicity, while, at the same time, it gets extremely difficult when it needs to be. Like any good puzzle game, EDGE tests your sense of direction, but like any good platformer, anyone can pick up and play it. As one would expect, this amounts to hours of fun – this reviewer has clocked in about 10 thus far, and is already trying to beat his scores. No matter how much you die, the game’s competitive nature never keeps it from giving players some fantastic replay value. 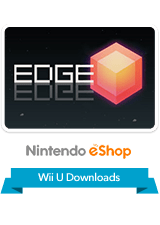 Indeed, fans of either puzzles or platformers, or even better, both genres, would be wise to check out EDGE. This is a game that keeps it simple and satisfying, and sometimes, that’s just what a gamer needs.